Wilderness Trail Bikes (WTB for short) is a respected brand among mountain bikers – particularly in the realm of tires and saddles (aka seats). They’re now bringing that experience to bear on commuter-oriented products: WTB’s Freedom line of products is geared at bikes commuters are more likely to ride and aims to provide comfortable, functional gear at a reasonable price point. I’ve been testing their Aon saddle on my (newly resurrected!) road singlespeed, and it’s time to share some impressions. As mentioned, one of the key components is value. At $39.99, the Aon (which is available in both men’s and women’s versions) certainly does that – it’s more comfortable than many more expensive saddles I’ve tested out. 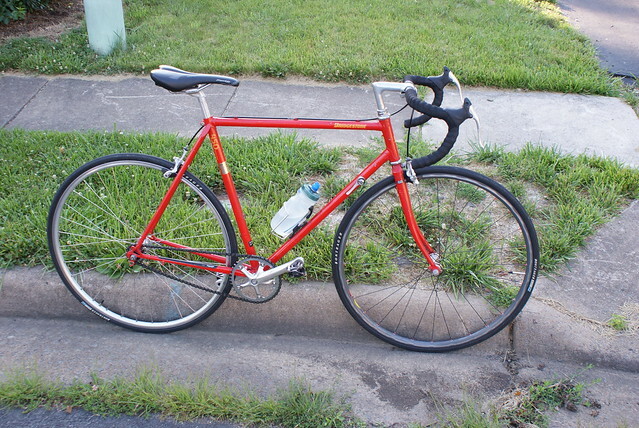 It is labeled as being for road bikes, and that’s precisely how it should be used – it is more comfortable when leaning forward than it is when sitting up straighter. I don’t have to be in the drops for it to be comfortable, but I wouldn’t want it on a cruiser! 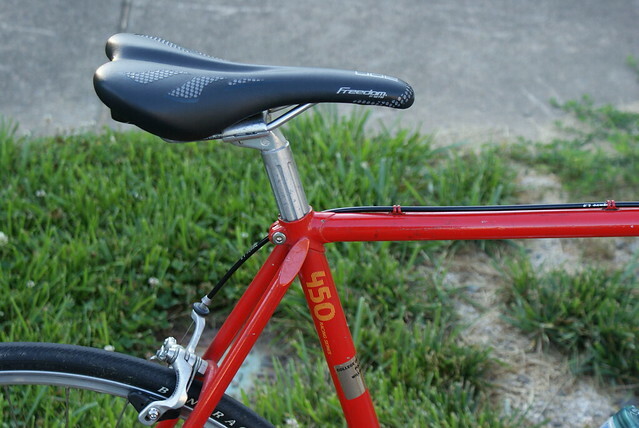 For bikes with a more upright position, Freedom offers several other saddles – if they’re as comfortable as the Aon, they may be worth checking out as well. Although we don’t have any more saddles on test, WTB provided us several products in this lineup for review, so look for more commentary on some Freedom grips and tires in the future!